On May 2nd, there will be a federal election here in Canada. So I thought that Tarot Views the News should take a look. This is not a predictive reading, but rather a quick look at the following terms, in the Canadian context, using the Tarot. I pulled the 2 of wands when I asked for a card to describe the Canadian federal election. The card shows a man between two poles. 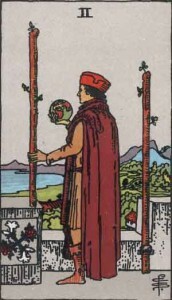 He’s gazing over land and water, holding one pole in his left hand, and a globe in his right. It looks like he’s trying to make a decision, each pole a distinct option, though very similar in style. Could the decision be between the Left and the Right, with a whole world between the two philosophies? This federal election is a choice between opposites. The future of the Canadian world is at hand. The 2 of Wands is labeled ‘dominion’ in the Thoth deck. Interestingly enough, that’s an important word for Canada. The constitution of 1867 proclaimed the Canadian federation to be ‘one Dominion under the name of Canada.’ And the phrase ‘Dominion of Canada’ was common until the 1970s. 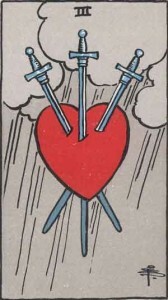 When I asked about leadership, I got the 3 of Swords. Hmmmm, this is kind of tough. There seems to be serious disappointment with the three major choices Canadians are being offered. Canada has five parties really, but two of the five aren’t likely to provide our next prime minister. The other three all have a chance, but from the looks of this card, there’s no happy choice. The leaders in this election seem en par as far the race goes, but they might all be concerned that they’ll be faced with another minority government. Something that none of them want, but all might expect. Lack of communication and embedded, historic animosities have led to a situation where it’s difficult for any of them to get along. The leadership situation is causing sorrow for all. The card I got when I asked about ‘citizenry’ was #20, Judgment. 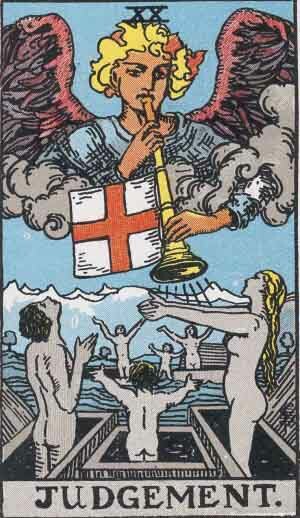 This is an interesting card to describe citizenry – people rising from the grave to the rousing call of an angel. The figures are gray and naked. Their arms are upraised, welcoming or praising the angel above. I don’t like to say it, but it looks like this group needs some new life breathed into them. The Canadian citizenry might need some uplifting. Citizens are people, families trying to crawl out of a hole. They’re looking for and welcoming of a strong leader. It’s almost like they’re looking for some sort of miracle to lead them onto the next stage. Looks like someone’s a winner, and everyone around him is cheering. 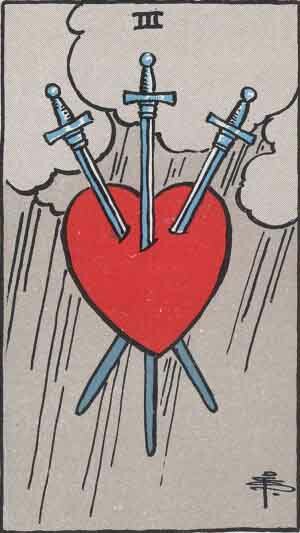 I’m reminded that the major 6, the Lovers card, often describes networking, opposites coming together, or choices that need to be made. 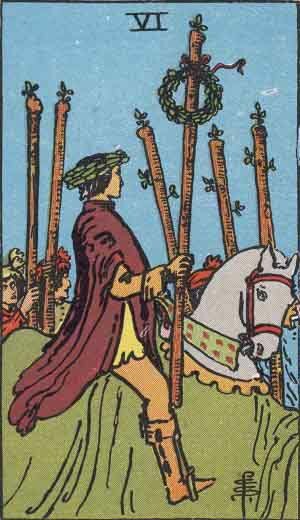 With the 6 of Wands, it’s the victory of this process. Everyone involved has made a decision and there’s general jubilation all around. Democracy is the spirit of a people united. I hope this is how I feel by the end of the election. If you’re Canadian get out there and vote May 2nd. It really matters. You are currently reading Tarot Views the News – the Canadian Federal Election at The Tarot Room.